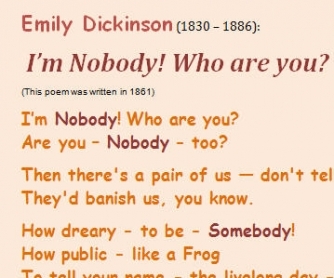 The poem “I'm Nobody! Who are you? 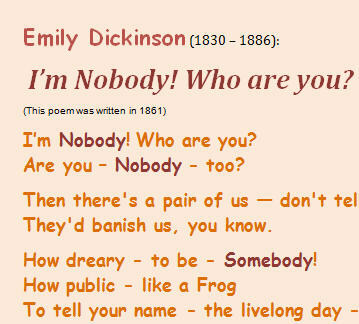 Are you - Nobody - too? ....” is magnificent. It isn't too long, it doesn't contain numerous new words, it is witty and humorous - it is quite modern although it was written more than 150 years ago. Well, the reasons are here, now it's up to you to try it out.